Platform to gather ideas and support your customers that includes ticketing, knowledge base, live chat. Easy to use customer service solution. "Simple, Powerful and Great Support"
Specifically the inline help. Generically I'd say their own customer support which is highly responsive, very technically helpful, and very personalized. Take advantage of the css customization which is extensive. 3) I can provide the FAQ/TIcket system not only as a selectable widget (e.g. Customer Support) but attach it as 'inline' help to text/icon of my choosing and thus provide interactive help to uses at specific parts/buttons on my site. Thus instead of just having a basic 'What's This?' hover I can have one that provides a FAQ about any feature of my site which is then fully integrated into the extended FAQ/Help system. "One of the best I have used. Must try." I have been running a retail business and faced problems with clients requests and support. It’s easier 100% to support our clients via tickets rather than emails as we used to do before. As our company is a global retail business we are now using useresponse’s multi – lingual feature which allows me to handle all teams from different language departments in one place. Ticket rules which allows to automate ticket processing is another great feature we used in useresponse. By clicking several buttons to configure ticket rules suitable for my business our support team spend far more less time to process request. If you are reading this, don't waste your time and use this as soon as possible if you want your business to grow. Personally there was nothing to dislike in this flawless software. It helps me to save a lot of time on customer support. It helps to organize ideas and share them through UseResponse. The layout is very flexible and the social integration and content analyzing features that they provide for it are at par. I would say it is value for money! Their support is also a big plus, they usually reply within 5 minutes and are always there to help! It can be a little complex to use because there are so many functionalities provided and no proper walk-through for them. Other than that though, I have nothing to dislike. I would very highly recommend giving the free version a shot! To manage my customers and records. I have enjoyed using it because of its flexibility and would choose this over so many more platforms that promise to provide the same thing. "Simple, intuitive helpdesk product backed by a team who are very perceptive and responsive." The integrated helpdesk experience with a highly intuitive user interface. Minor tweaks to the interface will allow better utilization of valuable screen space on a 13-inch laptop. We are a customer of the cloud version and my personal feeling is that user experience in the cloud version should be targeted and optimized for small businesses with perhaps less than 20 agents. This is the case as of now and I anticipate that any future progress would be in this direction. If you have any specific features that are not yet included, my impression is that the UseResponse team will listen to you and will build those features soon enough. We were trying to make it unnecessary for the students of an educational institute to personally visit the student services office to resolve most of their routine issues. "UseResponse: All-in-One Help Desk and Customer Support Suite." The UseResponse System interface is highly customisable to Our needs, and it’s easier for Our Team to use Its Self-Service Community integration to Gather ideas, Topic Voting, aggregate Problems, Questions, provide support with this great customer feedback software, help desk ticketing system packed in one simple solution. With the great Feature of UseResponse, there is nothing practical to dislike. If you really want to know your Customers very well, understand their opinions, then UseResponse is the Platform to be on. We were looking at ways to know our Customers very well, understand their opinions, gather their feedbacks and work seamlessly to respond to their needs in a timely manner. We had tried the traditional tools, cold calling and its likes, but never got the needed satisfaction and boost to Our Business. After some research, we came across UseResponse and tried the Trial Version, and to our utmost surprise, UseResponse lived up to its Name and reputation as one of the best in the Industry. "Excellent support and powerfool tool for managing customer feedback"
It is very flexible in terms of collecting ideas from our customers and understanding what customers require to be implemented first of all. Sometime it takes a long time to get features submitted to their ticket system, what is fair enough as their number of clients growing. Administration area is a bit hard to learn to start. "Simply Exceptional Feedback, Knowledge Base, FAQ & Ticketing Solution"
Just go for it if you need to build a community and then get ideas from this community. "A Great Customer Support Experience at One Place"
Their support is equally good at technical and business aspects of the different products. Their ticket system is great and so is their team at responding to problems within 24hours. A great User-interface too. Thier website fits perfectly on a 15-inch laptop or maybe a bigger screen but its troublesome on an ipad or tablets. Other than that, there's nothing to dislike. Their cloud version's support, user experience and optimization for different products is truly excellent. This is why I would strongly recommend you to use it. Their support isn't just great for your customers, it's awesome for you too. Great Customer service, excellent ticketing system, Increasing our brand's face value and recognition. User support and helping build our brand's community. There isn't anything about the product that I dislike I think with time the knowledge base and user base will make information even better and easier to solve without having to go to the support center. make sure that you understand the full breadth and depth of the product. It is so feature rich and there is always more to come they are constantly improving the product. We are very pleased with everything. We are using this as our forum and as the basis for building our own software support community. This will become our new self service center and knowledge base. it is allowing us to customize and host everything in a way that is easy to configure and customize. Some functionality we wanted hasn't been implemented. Great tools for what you need, support is amazing! To gather client feedback and to know more about their problems. "Excellent product & excellent service!" UseResponse has been the selected product for our self serve support forum concept. They have delivered with great quality & service, and not to mention with great agility. It is also very cost competitive compared to other vendors. "Easy platform to interact with customers"
I don't really have any complaints about the product. Keep the product up to date, as they're always adding new features and fixing bugs. We are using the UseResponse product to collect requests from customers, and prioritize new features. UseResponse makes it simple for us to collect metrics about their needs, while interacting with our customers. 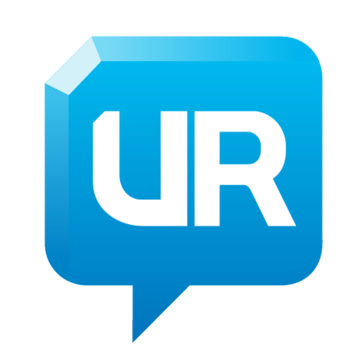 "UseResponse: excellent service with superb customer support"
UseResponse is simply awesome. I set it up literally in ten minutes and their customer support immediately helped me in tuning up the configuration as soon as I got in touch with them. They replied to me basically 24/7, no matter whether I was based in Europe or in the U.S., they always replied in less than a hour. "Best solution for complete support center - all-in-one!!" One plattform for all feedback channels in one solution! * We monitor all UseResponse reviews to prevent fraudulent reviews and keep review quality high. We do not post reviews by company employees or direct competitors. Validated reviews require the user to submit a screenshot of the product containing their user ID, in order to verify a user is an actual user of the product. Hi there! Are you looking to implement a solution like UseResponse?